RetiredPresident/Majority Owner - CIT, Hadley Inc.
Ronald Maziarz added a comment on Peggy Hild Gilliand's Profile. Ronald Maziarz posted a message on John Peterson's Profile. Happy birthday John. Hope you are feeling well. Enjoy the day. Ronald Maziarz posted a message on Phil Passilla's Profile. Happy birthday Phil, enjoy your day. See you soon. Ronald Maziarz added a comment on his Profile. Ronald Maziarz posted a message on Ron Shea's Profile. Happy birthday Ron, enjoy your day. Ronald Maziarz added a comment on John Peterson's Profile. Ronald Maziarz posted a message on Phil Passilla's Profile. New comment added. Happy birthday Phil. See you in a few weeks when we both get back home. 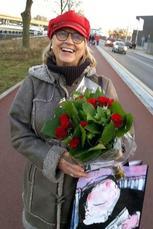 Yvonne Van Tilburg Mulder posted a message on Ronald Maziarz's Profile. Ronald Maziarz posted a message. Rich, Happy Birthday to my fellow Pollock. Hope you have a good harvest and quality grapes this year. Talk to you soon. Ronald Maziarz updated his profile. View. Ronald Maziarz posted a message on Peggy Hild's Profile. New comment added. Happy Birthday Phil. If we don't see you again in FL will see you in PA. We are going back mid May. Merry Christmas, Happy Holidays, and a Happy New Year to all. Hope to see many of you in the coming year.